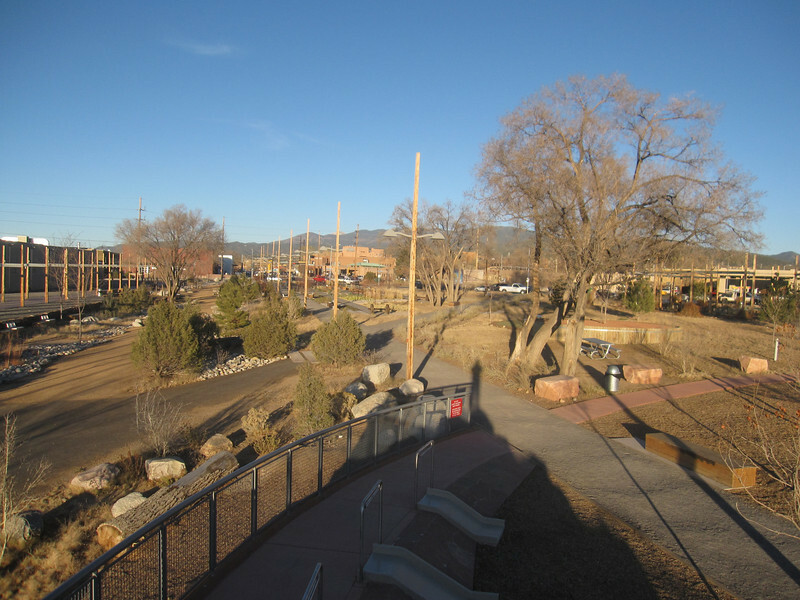 The Santa Fe Railyard, pictured here, is a 13-acre community park located at the Sante Fe Depot. Funding for the park was managed by the Trust for Public Land. The park is part of a larger mixed-use development. The Santa Fe Rail Trail, which begins at Rabbit Road in Santa Fe and terminates in Lamy, runs adjacent to the Rail Runner Express commuter train and Santa Fe Southern Railway, a 120 year old spur. The 11.5 mile rail-trail is a mix of pavement and dirt and was funded through a variety of public sources as well as private donations raised by the Santa Fe Conservation Trust. Specifically, the rail-trail received three separate TE grants in 1998 and 2005 amounting to $999,750 leveraging a local match of $333,250. Walkers, joggers, mountain bicyclists, and equestrians enjoy this community treasure.